Learn what it is like to work in a clinical role at Nuffield Health Leeds Hospital. Being Yorkshire’s largest independent hospital, we are so much more than ‘hips and knees’ (although, yes we do those as well.) We are the only independent hospital in the region that carries out complex surgery including spinal, neurosurgery, bariatric and cardiac surgery. 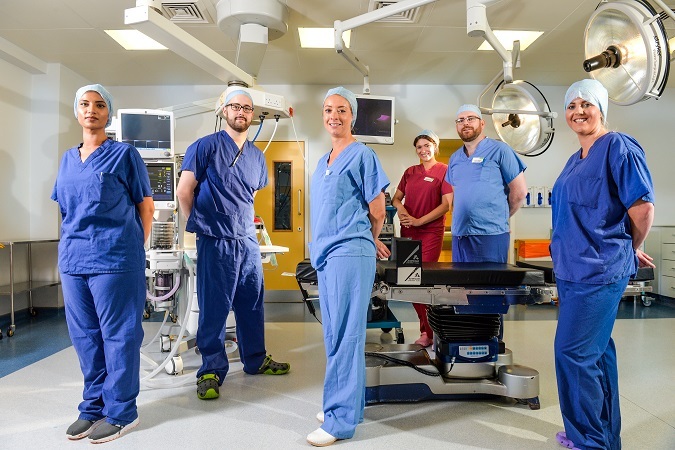 Thanks to our clinical expertise, investment in state-of-the-art technology and our Critical Care Unit with 1:1 nursing: the complexity and breadth of treatments we offer create the most engaging and rewarding work environment. We proactively invest in our staff’s training and development. Our commitment and responsibility to invest in our staff is second to none. We have a state-of-the-art clinical skills simulation lab - we are the only independent hospital in Yorkshire to have this unique training facility. Complete with a simulation training mannequin, IT resources, library resources and dedicated space for self-managed learning. We have robust and collaborative relationships with local Universities with a focus on offering education and professional development provisions. Nuffield Health is a registered apprenticeship employer training provider and regulated by Ofsted. We offer a variety of internal apprenticeships including One Nuffield Future Leaders Programme and other healthcare-associated qualifications. 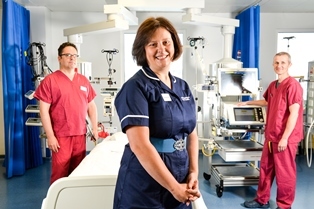 A blended 9-month Preceptorship Programme unique to Nuffield Health, shortlisted in the Student Nursing Times Awards. The innovative scheme supports the transition between graduating student to Registered Practitioner. Not for profit, but for patients. We’re a not for profit organisation and it shows. Our profits do not go to shareholders, but instead reinvested back into our staff, equipment, treatments and services, ensuring patient care is at the heart of what we do. 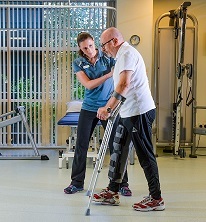 Our high nurse to patient ratio means you have more time with your patients, care for them, giving them the best possible chance to get them onto the road to recovery. The Care Quality Commission thinks highly of us as well. We are the only hospital in West Yorkshire rated Outstanding by the Care Quality Commission. Read our CQC inspection report. Current clinical job vacancies at Nuffield Health Leeds Hospital.